These maple coconut caramel macaroons are quite the treat. The cookie itself is a classic take on the traditional macaroon but the toasted pumpkin seeds, melted chocolate, and sea salt makes them truly stand out. They are perfect for a sweet snack with coffee or to round out a meal. 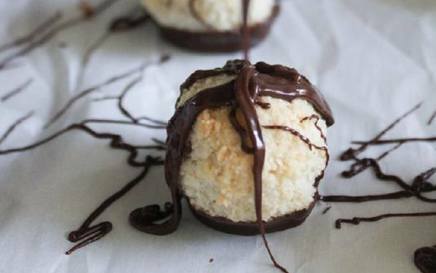 This delicious recipe from One Green Planet is also vegan & gluten-free!